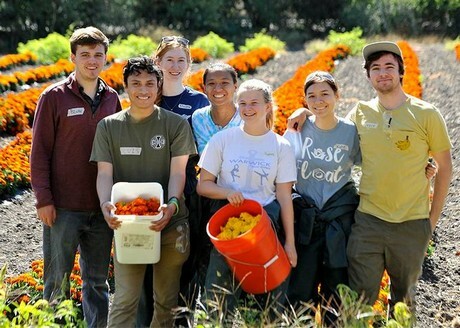 Students from Cal Poly Universities recently harvested marigolds, strawflower and statice grown from seeds donated by Ball Horticultural. After being dried, the flower material will adorn Cal Poly’s 2019 float entry in the Tournament of Roses Parade on New Year’s Day. Sydney Strong (with orange bucket) and her Decorations Team from San Luis Obispo campus standing in fields of student grown marigolds being processed for this year’s float. And the float is sure to get some attention. After all, the Cal Poly float is a consistent award-winner, having earned the Past President’s Trophy for its 2018 entry that featured 97 percent California Grown flowers. The trophy is typically won by professionally build floats and recognizes the best use of floral and non-floral elements. 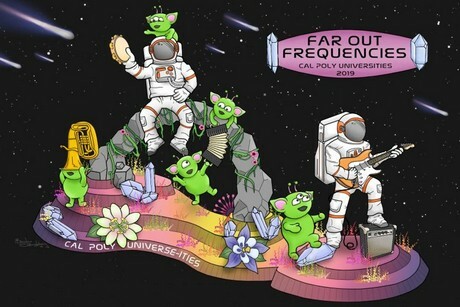 This year’s float by Cal Poly, entitled Far Out Frequencies, will include seeds donated by Ball Horticultural Company. Cal Poly San Luis Obispo students used Ball seeds to grow the needed marigolds, while Cal Poly Pomona students grew the strawflower and statice. In addition to the student’s effort, Ball also donated kale plugs to Ocean Breeze Farms to help provide the kale needed for this year’s float design. Summer Blanco (center) and part of her Decorations Team from Pomona sitting in fields of student grown statice being processed for this year’s float. 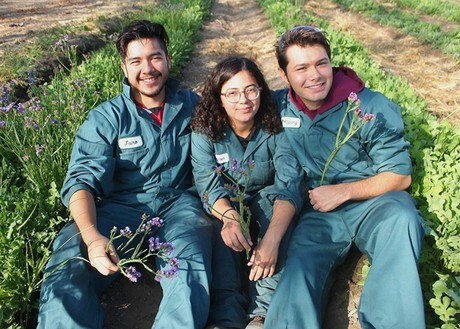 Cal Poly Pomona student Summer Blanco, a deco chair for the float, recently shared that the flowers were being harvested and prepared for drying – along with a note of thanks for Ball’s donation. When complete, the Cal Poly Universities float will be recognized as one of only a few parade entries certified as “California Grown.” This certification recognizes those parade entries that can assure at least 85 percent of the flowers and greens on the float are from the Golden State. Together, Ball and the California Cut Flower Commission (CCFC) are working with the students will help them achieve another award-winning float, while at the same time inspiring the next generation of flower farmers.